Roy Lichtenstein, Claes Oldenberg, Robert Rauschenberg, Jasper Johns, David Hockney, Frank Stella, and so many, many more artists of renown have made and continue to make prints at Gemini G.E.L., one of the world's great print workshops and publishers, which this year celebrates its 50th anniversary. Founded in 1966 and located in Los Angeles, Gemini has worked with scores of artists to create original limited-edition, hand-printed lithographs, etchings, screenprints, and woodcuts, as well as sculptures. Its most recent collaborations have involved Julie Mehretu, Richard Tuttle, Richard Serra, and Tacita Dean, among others. Recognizing its importance in art history, the National Gallery of Art in Washington, D.C., established in 1981 the Gemini G.E.L. Archive, which, in addition to serving as a study center, maintains a complete history of the workshop and one example of each of more than 2,000 editions Gemini has published. To date, the NGO has had four major exhibitions of work drawn from the archive. The most recent was "The Serial Impulse at Gemini G.E.L. ", which ran at the NGA from October 4, 2015, to February 7, 2016, and currently is at LACMA (Los Angeles County Museum of Art). Accompanying "The Serial Impulse at Gemini G.E.L." at LACMA is the excellent video below, which features co-founder Sidney Felsen. On view through January 2, 2017, the exhibition explores artists' approaches to serial production and showcases 15 print series that include important work by Johns, Rauschenberg, Stella, Serra, and Mehretu. Also see the video "Talking Shop with Sidney Felsen: Fifty Years of Artists at Gemini G.E.L." As you will see below, Holly Corfield Carr's poem "AFT", an October "Poem of the Day" at The Poetry School, lends itself beautifully to film treatment. Read "Poetry in Aldeburgh Residency: Ben Rogers Interviews . . . Holly Corfield Carr", The Poetry School, October 14, 2016. Monday Muse Asks Did You Know. . . This is another in an occasional series presenting facts about poets and poetry that you might not know. ✦ In partnership with the charity Maggie's Centre Oxford and the spoken-word site Apples and Snakes, the Arts Council of England has created the multi-media project One Stage at a Time, for individuals with cancer, their caregivers, their loved ones, and anyone who'd just like to connect. 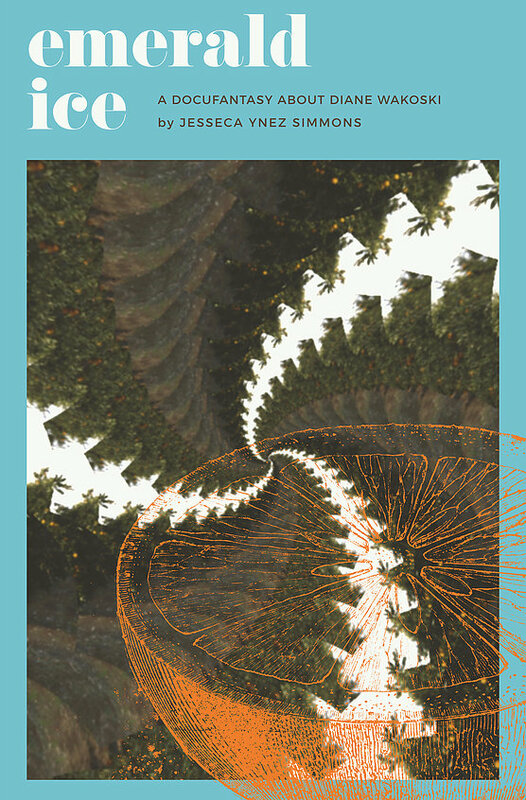 You'll find at the site a mix of poetry prompts, texts, audio, digital postcards to send, live-events news, and more. ✦ San Francisco's Arion Press has published a number of beautiful, limited-edition books of poetry, among them Sampler, with poetry by Emily Dickinson and more than 200 prints by Kiki Smith; The Structure of Rime, with prose poems by Robert Duncan and etchings by Frank Lobdell; I Love My Love, with a 14-stanza ballad by Helen Adam (the ballad is inspired by a Celtic interpretation of the Medusa theme) and 16 images by Kiki Smith; T.S. Eliot's The Waste Land, with illustrations by R.B. Kitaj from his painting If Not, a Helen Vendler essay on the poem, and a Marco Livingstone essay on the painting; and Poetry of Sappho, with prints by Julie Mehretu. 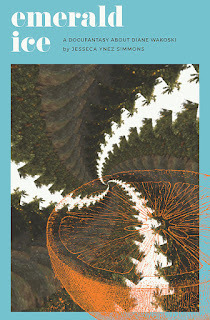 Forthcoming is Poetry of Elizabeth Bishop, selections by Helen Vendler, and prints by John Newman. ✦ The Funeral Services Northern Ireland National Poetry Competition is an annual prize event limited to poets of Northern Ireland. Launched in 2012, the event typically mirrors the theme of the United Kingdom's National Poetry Day. ✦ The latest project from Sundress Publications is the free online reading series "Poets in Pajamas". The series was announced in early October. ✦ English poet Wendy Cope wrote what may be the first poem about "mansplaining". According to Cope's profile at the British Council Literature site, "Wendy Cope's poetry is perhaps best known for its humour and wit", with the joke most often "centred on men." The poem has been shared widely. Read a selection from "Differences of Opinion" at Mashable. ✦ Having been buried in the grave of poet, artist, and model Elizabeth Siddal (1829-1862), Dante Gabriel Rossetti's manuscript for Poems could only be recovered by exhuming Siddal's body in 1869 from its resting place in Highgate Cemetery, London. Siddal, who was married to Rossetti, died from an overdose of laudanum. Today, for the First Sunday of Advent, art historian James Romaine discusses the devotional prayer book, The Hours of Jeanne d'Evreux, created for the Queen of France by French manuscript illuminator and miniaturist painter Jean Pucelle (1300-1355). will be "saved" or "lost", but of how much of us. of impermanence and insignificance. . . .
Today's short is the trailer for the documentary The Nine (2016) from photographer and filmmaker-director Katy Grannan, who is known for her intimate portraits of strangers. The Nine in the film's title refers to South Ninth Street, Modesto, California, a poverty-ravaged "no man's land where the rules of polite society do not apply . . . existence is a day to day hustle, and survival is by any means necessary." The film's focus is the drifter Kiki whose sense of self-worth comes to rely on the film's making. The film, produced by Marc Smolowitz, was screened earlier this month at DOC NYC, and has been shown at Flyway Film Festival, Mill Valley Film Festival, Denver Film Festival, St. Louis International Film Festival, and elsewhere; its U.S. premiere was at Hot Springs Documentary Film Festival. It also has been screened abroad. THE NINE | TRAILER (2016) from Katy Grannan on Vimeo. * Quoted from Charlie White's interesting interview with Katy Grannan at Kaleidoscope, Issue #26, Winter 2016. ✦ With "Money for Art's Sake" as its tagline, ArtMoney aims to make collectors of us all by offering art-purchasers interest-free loans of $1,000 to $30,000; payments are spread over 10 monthly installments. Launched at Expo Chicago in September of this year, ArtMoney partners with galleries in the United States, Australia, New Zealand, and other countries to make purchases possible. Read ArtSy's article about the entrepreneurial venture, "ArtMoney, a New Startup, Is Offering Collectors Free Money to Buy Art". ✦ The Museo Nacional del Prado in Madrid is exhibiting 15 major works by Clara Peeters in "The Art of Clara Peeters"; a selection of the paintings may be viewed online at the exhibition link. Continuing through February 19, 2017, the exhibition marks the first time the museum has shown work by a female artist. 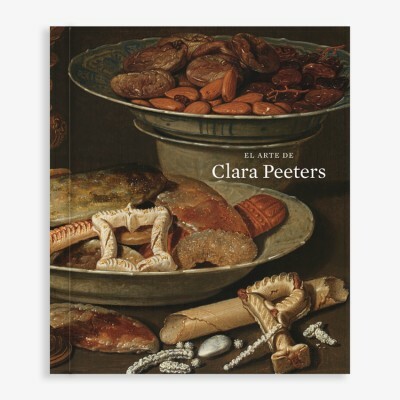 A 136-page catalogue is available. A preview with English subtitles also is available. Sarah Amos - Collograph Fabric Constructions 2015 from Treeline Media on Vimeo. Work by Amos, who received the prestigious Joan Mitchell award in painting in 2013, is found in museums and arts institutions in Australia, New York, Minnesota, and elsewhere. Additional images of Amos's work, a short video about her printmaking practice, and an interview with the artist are featured at Elusivemu.se. ✦ A new gallery dedicated to photography has been established at the Frances Lehman Loeb Art Center at Vassar College, Poughkeepsie, New York. The FLLAC's holdings include more than 4,000 works of photography, film, and video. ✦ See some of Jennifer Maestre's most recent sculptures of pencils and pencil shavings at This Is Colossal. They're so imaginative and beautifully constructed. ✦ Graphic novelist, comics artist, and visual storyteller Karrie Fransman discusses a remarkable work she contributed to "Artists in the Frame: Self Portraits by Van Dyck and Others", an exhibition on which the United Kingdom's Manchester Art Gallery and National Portrait Gallery collaborated earlier this year. ★ Drawings, prints, and photographs by Damien Shen (Ngarrindjeri, Chinese) are on view through December 18 at Kluge-Ruhe Aboriginal Art Collection, Charlottesville, Virginia. 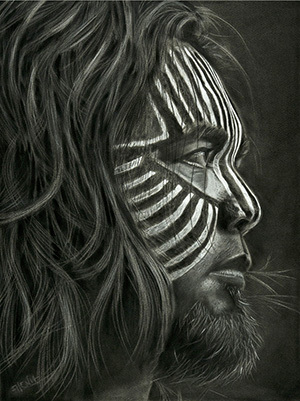 The exhibition, "Damien Shen: On the Fabric of the Ngarrindjeri Body", reveals a discovery by Shen of stolen skeletal remains of more than 500 Ngarrindjeri people (the remains were sent to a scientist in Scotland for purposes of comparative anatomy) and the artist's "reintroduc[tion of] the spirit" to the remains. Shen's portraits are extraordinary. 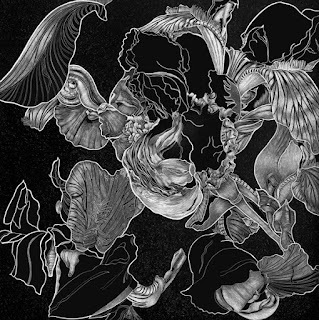 Brief information about Shen's artistic process is included at the exhibition link. Images of work by Shen are included in Jane Llewellyn's article "Damien Shen and the People Who Belong to This Land" in The Adelaide Review. Others can be seen at Artist Profile. ★ Vassar College's Frances Lehman Loeb Art Center, Poughkeepsie, New York, is celebrating Shakespeare in art in the exhibition "For through the painter must you see his skill: Shakespeare in Art from the Permanent Collection". On view through December 23, the exhibition, part of the college's celebration of the 400th anniversary of Shakespeare's death, includes 13 paintings, drawings, and prints. ★ The Colby College Museum of Art, Waterville, Maine, continues "Teresa Margolles: We Have a Common Thread" through December 11. On view is a new series of work in which artist-embroiderers from Panama, Nicaragua, Guatemala, Brazil, Mexico, and the United States collaborated to address concerns about violence, especially violence against women. Margolles, who has spent years using photography, video, sculpture, and performance to explore violent death, loss, and sorrow in Mexico, invited the embroiderers to create on fabrics patterns that would trigger conversations about violence and other social problems; recordings of some of those conversations are included with the textiles. Additional information about the textiles and a selection of images can be found at the exhibition link above. A noontime art talk about the exhibition is scheduled for November 30. Neuberger Museum of Art at Purchase College, SUNY, organized the exhibition. Tickets are required to see the show. ★ In Missouri, the St. Louis Art Museum has mounted "Impressions of War", featuring prints by Francisco de Goya (Disasters of War), Jacques Callot (Miseries of War), Max Beckmann (Hell), and Daniel Heyman (Amman Portfolio). Conceived as a counterpart to the museum's "Conflicts of Interest: Art and War in Modern Japan" (running through January 8, 2017), "Impressions of War" continues through February 12, 2017. Today, Thursday's Three shares excerpts from a trio of Thanksgiving poems. May all Americans enjoy the bounty of this season of giving thanks. My poem was written specifically for the Escape Into Life Thanksgiving feature. Also offered are poems by Susan Rich, Richard Jones, and Robert Lee Brewer. I started making art because I lack words. Art was my way of dealing with loss. Danish artist Cathrine Raben Davidsen is a classically trained painter who also works in other media, including drawing, ceramics, textiles, and prints. She has designed sets and costumes for The Royal Danish Ballet and exhibits her work internationally. Her inspirations come from literary and art historical sources, folk narratives, and myths. In the following 2016 interview with Kasper Bech Dyg at her Copenhagan studio, Davidsen talks about the personal loss that initially drove her often haunting work, the colors she uses to inform the emotion and lyricism imbuing her art, her materials and techniques, and her interest in the "transformation of form [including] the difference between body and soul and form and non-form." Many of her 2016 paintings are shown in the video. Cathrine Raben Davidsen Interview: Paintings of Loss from Louisiana Channel on Vimeo. My thanks to the Louisiana Channel for the excellent film. As an introduction to the remarkable poet Cortney Lamar Charleston, I have embedded below How Do You Raise a Black Child?, the deeply moving first release from Motionpoems' seventh season of poetry films produced in cooperation with Cave Canem. Charleston's poem first appeared in Beloit Poetry Journal. Seyi Peter-Thomas (Station Film) directed the film. Charleston is the author of the forthcoming collection Telepathologies (Saturnalia Books, March 2017), which includes the poem on which the film is based; the collection was selected by D.A. Powell. A finalist for the Auburn Witness Poetry Prize (2015) and a semi-finalist for Discovery/Boston Review Poetry Prize (2016), Charleston also has been nominated for a Pushcart Prize and Best of the Net poems. Charleston has published poems in such prestigious periodicals as Atticus Review, Gulf Coast, Hayden's Ferry Review, The Iowa Review, The Missouri Review, New England Review, Pleiades, and Rattle. Text of "How Do You Raise a Black Child?" 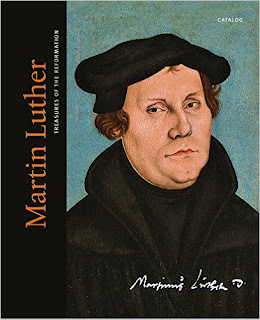 Monday Muse offers a list of five recently read and recommended titles. 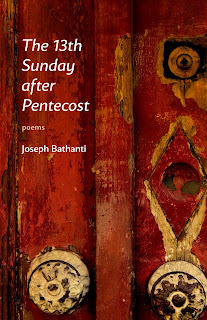 ✭ The 13th Sunday after Pentecost: Poems (LSU Press, October 2016) by Joseph Bathanti ~ The subjects in Bathanti's excellent collection range over childhood in blue-collar Pittsburgh, parochial education, love of baseball, family relationships, steel strikes, stag films, the Cold War, and much more. 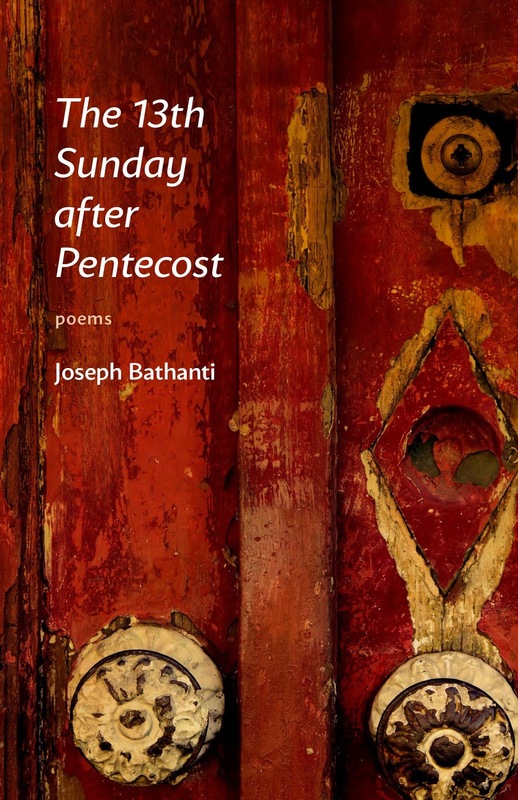 Bathanti's narrative poems are akin to looking at the color stills from a fully documented life. 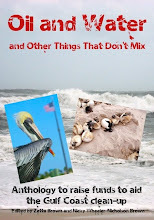 Distinguished by the poet's eye for telling detail, down-to-earth language, and craft, they provide a richly rewarding read. A former poet laureate of North Carolina (2012-2014), Bathanti is a 2016 winner of the prestigious North Carolina Award. Read my review of Bathanti's Concertina (2013). 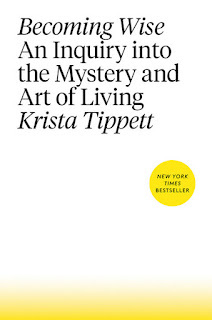 ✭ Becoming Wise: An Inquiry into the Mystery and Art of Living (Penguin Random House, April 2016) by Krista Tippett ~ Becoming Wise draws from this master listener's life of conversation with some of the world's most accomplished and fascinating people to examine not only the challenges of life in this century but also to distill what Tippett calls the "basic aspects" governing our everyday relationships and ways of being: words, body, love, faith, and hope. 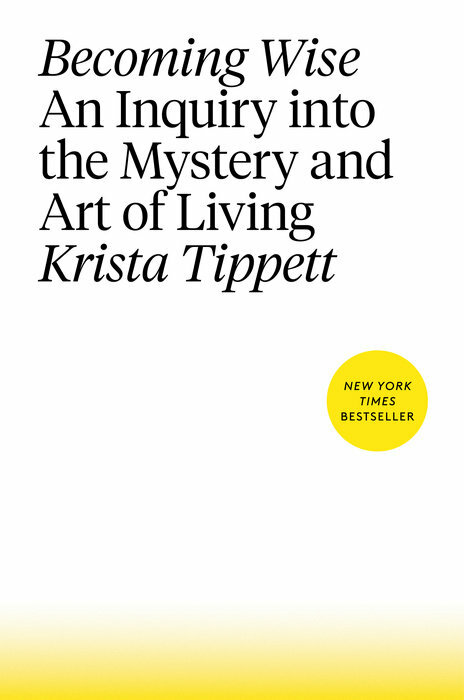 Tippett's other books, which I also recommend, are Einstein's God (2010) and Speaking of Faith (2007). 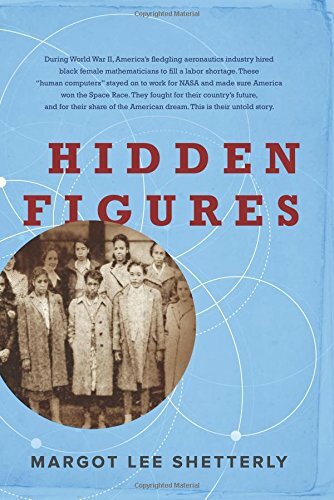 ✭ Hidden Figures (William Morrow/HarperCollins Publishers, September 2016) by Margot Lee Shetterly ~ Shetterly rescues the formerly untold stories of the African-American female mathematicians and engineers who worked at NASA in its earliest days, giving their enormous contributions a well-deserved place in the history of American science and technology. A movie based on the book is expected to be released in early January 2017. 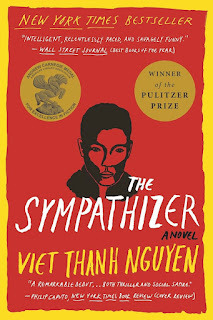 ✭ The Sympathizer (Grove Press/Atlantic, 2015) by Viet Thanh Nguyen ~ This 2016 Pulitzer Prize-winning novel, which also was awarded the 2016 Dayton Literary Peace Prize and other honors, fully lives up to its hype. It's the most absorbing fictional narrative I've read this year. Nguyen's next book is the short story collection The Refugees, due out in February 2017. ✭ Blood in the Water: The Attica Prison Uprising of 1971 and Its Legacy (Pantheon Books, August 2016) by Heather Ann Thompson ~ If you read only one nonfiction book this year, read this one. 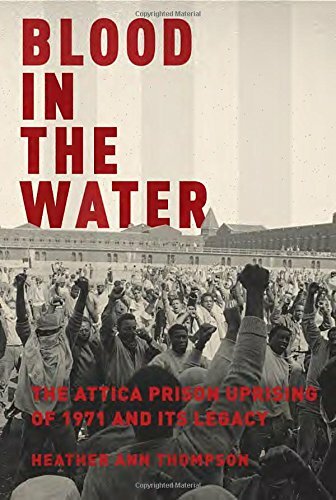 It's an extraordinary, deeply researched, definitive account of infamous and tragic events at Attica Correctional Facility in upstate New York in 1971. I was both angered and profoundly shaken by the injustices Thompson lays bare and the state and federal governments' complicity in hiding the truth about what happened. Below is a preview of Seeing Art History's 2016 "Art for Advent" series, which this year is titled Christmas at the Cloisters. Art historian James Romaine is the series' writer and narrator. The series will look at the relationships between faith and sight as evidenced in The Hours of Jeanne d'Evreux (First Sunday of Advent), The Belles Heures of Jean de France, duc de Berry (Second Sunday of Advent), a boxwood rosary bead (Third Sunday of Advent), and The Merod Altarpiece (Fourth Sunday of Advent). The series concludes with a segment about the Unicorn Tapestries (Christmas Day). Join me here for the series. For once an answer, not the endless asking. 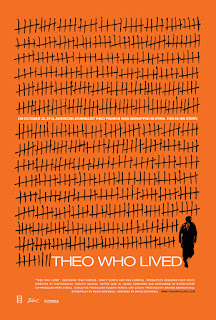 Directed by David Schisgall, the 86-minute documentary Theo Who Lived (Zeitgeist Films, 2016) relates the story of Theo Padnos, an American journalist taken prisoner in Syria by a branch of Al Qaeda, which held him for 22 months. Fluent in Arabic, Padnos was suspected of being a CIA agent and was tortured. Eventually and remarkably, however, he became a confidante of the head of the terrorist branch. The government of Qatar helped negotiate Padnos's release. For Theo Who Lived, which is in English and Arabic (with English subtitled), Padnos returned to the Middle East to narrate the steps of his journey and "perform" his memories. Below is the film's trailer. The documentary was screened in New York on October 7, in Los Angeles on October 21, and in Washington, D.C., at Filmfest DC, on October 29. Screenings also took place this month in Hanover, New Hampshire (November 5), Milwaukee, Wisconsin (November 9), Pelham, New York (November 10), and Seattle, at Northwest Film Forum (November 16). Peter Theo Curtis is the journalist's real name. 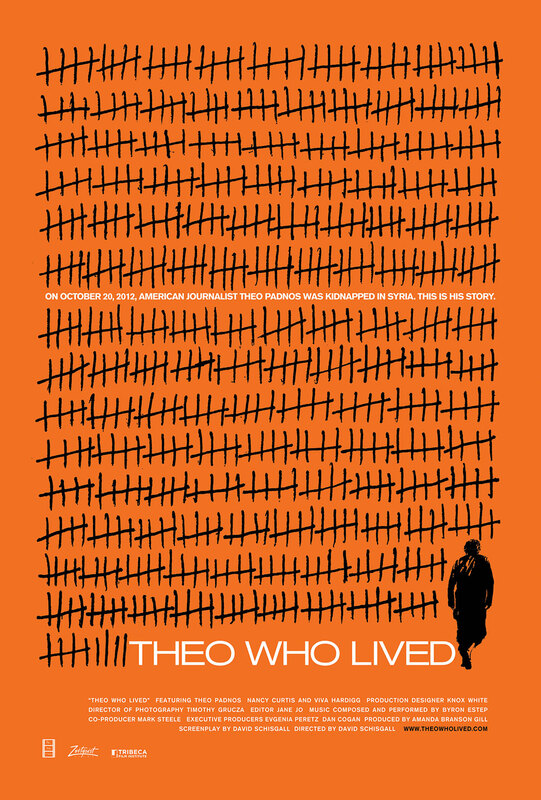 Read Theo Padnos, "My Captivity", The New York Times Magazine, October 29, 2014. 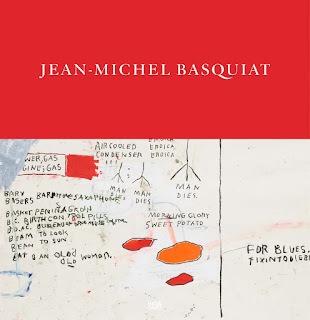 ✦ Forthcoming is Jean-Michel Basquiat: Words Are All We Have (Hatje Cantz, December 2016), edited with text by Dieter Buchhart. 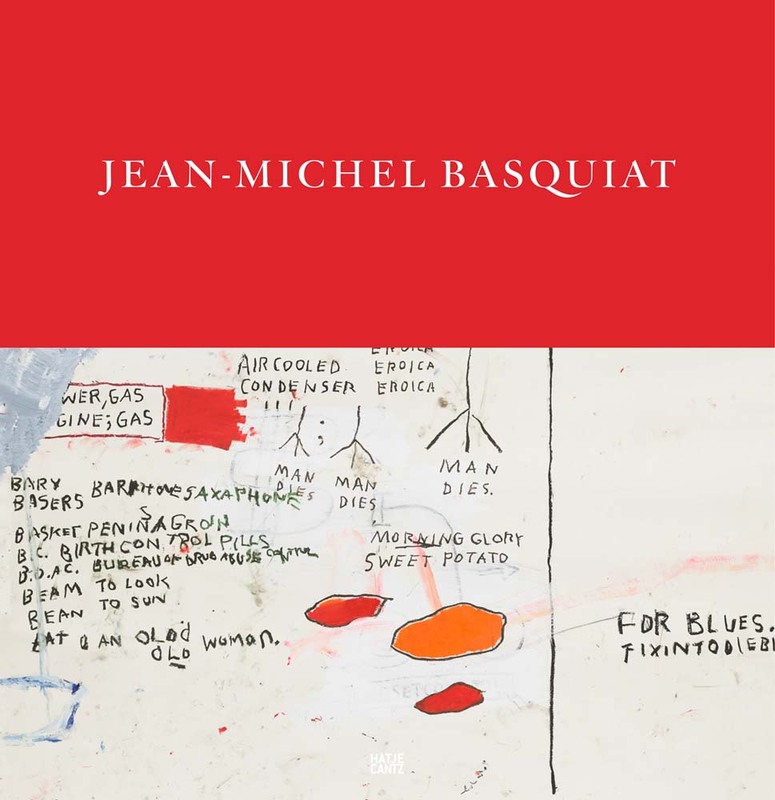 Examining in detail Basquiat's bundled text fragments, the 208-page book has 103 color illustrations. ✦ Here's a quick look at Polly Apfelbaum's installation, Face (Geometry) (Naked) Eyes, at Ben Maltz Gallery at Otis College of Art & Design, Los Angeles. To view Apfelbaum's work, comprising carpets, beads, clay tablet, and wooden icons, visit the gallery through December 4. Read art critic Christopher Knight's informative review in the Los Angeles Times. Still images may be viewed at Apfelbaum's Website. ✦ On October 27, Rhizome debuted Net Art Anthology at the New Museum in New York City. The anthology is a two-year online exhibition that retells the history of digital art from the 1980s to today through 100 restaged works. The aim is to identify, preserve, and present "exemplary works" that comprise "a possible net art canon." ✦ The Association for the Promotion of Contemporary Syrian Art aims to spread a message of peace through art and culture. Visit its Website to view artist galleries and obtain more information about the encouragement of artistic exchange and intercultural dialogue. ✦ More than 50 remarkable palette paintings by artists from around the world were displayed at The Lodge Gallery in "Point of Origin", which concluded November 13. The exhibition was curated by Dina Brodsky and Trek Lexington. Take a look at a selection of the paintings at This Is Colossal and on Instagram. ✦ Do you know an artist with autism? Share The Art of Autism site. See, especially, the Gallery. ✦ The video below, The Alchemy of Color, explains the creation of pigments used in medieval manuscripts. The exhibition "The Alchemy of Color in Medieval Manuscripts" continues at The Getty Center through January 1, 2017. ✭ New York City's Manhattan Graphics Center is host to the juried "2nd New York International Miniature Print Exhibition". All of the 124 prints on view are for sale. The exhibition runs through December 18. Monetary awards were made to artists whose work received a first, second, or third place honor. A gallery of accepted prints and a list of artists can be found at the exhibition link. 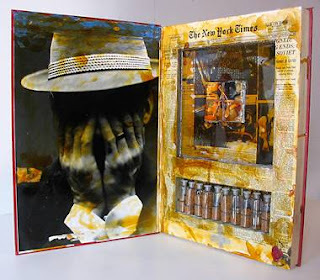 ✭ In its exhibition "Uncommon Exposures: Photography in Craft Based Media", the Fuller Craft Museum, Brockton, Massachusetts, demonstrates how contemporary craft artists combine craft and photography (both film and digital) with clay, fiber, jewelry, and other traditional craft-based media. Participating artists include Alice Benvie Gebhart, Sandra Donabed, Ashley Gilreath, Vicki Jensen, Kyle Meyer, Megumi Naitoh, Peter Olson, Wen Redmond, Chelsea Revelle, Stephen Sheffield, Jennifer Walstead, Pao Fei Yang, and Melissa Zexter. The show continues through January 22, 2017. ✭ Opening November 19 at the Modern Art Museum of Ft. Worth is "FOCUS: Lorna Simpson". The exhibition, on view through January 15, 2017, is the first museum show to feature Simpson's large acrylic, ink, and silkscreened paintings. ✭ If you're looking for a contemplative experience, head to Washington, D.C.'s Freer Gallery, which is presenting "Red: Ming Dynasty/Mark Rothko". The subject is the color red as reflected in Chinese monochrome porcelains made five centuries before Mark Rothko began layering red pigments in his paintings. Continuing through February 20, 2017, the exhibition juxtaposes an imperial Chinese porcelain dish from the Xuande period (1425-36), on view for the first time, and Rothko's Untitled (Seagram Mural Sketch) of 1959, comprising oil and acrylic on canvas. The latter is on loan from the National Gallery of Art. ✭ Prints, small-scale sculpture, and wall sculpture by Chicago-based Richard Hunt is on view at the Studio Museum of Harlem, New York City, through January 15, 2017. The exhibition, "Richard Hunt: Framed and Extended" (the title comes from one of Hunt's wall sculptures), offers a look at 17 works spanning the artist's career, incuding the print Untitled (1965), the free-standing Hybrid Form #3 (1970), Wall Piece Two and Wall Piece Seven (both 1989), and the free-standing Spiral Odyssey II (2014). Images of Untitled and Hybrid Form #3 are available at the exhibition link. Richard Hunt 60 Years of Sculpture-HD from Richard Hunt on Vimeo. ✭ Virginia Tech's Moss Arts Center, Blacksburg, Virginia, showcases the work of Brooklyn's Amy Cutler through December 10. Included in the exhibition are Cutler's drawings, prints, and gouache-on-paper paintings, which take their inspiration from such sources as folk art, Persian miniatures, medieval art, and Japanese ukiyo-e prints. 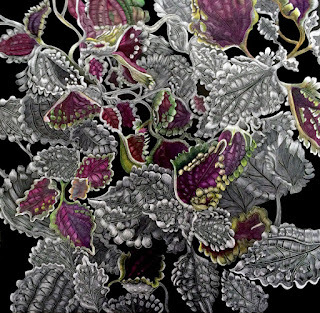 Today, my new Artist Watch feature at the online arts magazine Escape Into Life showcases the intricate and gorgeous work of Lisa Goesling. A full-time artist, Lisa exhibits throughout the United States and has received a number of awards. Her work is found in public and private collections throughout the world. Today's Artist Watch column features eight images of Lisa's 2016 work, her Artist Statement and biographical profile, and a list of her social media sites. Note: Inside of an Iris, seen above, appears on the cover of The New York Times bestselling novel Transatlantic by Colum McCann. 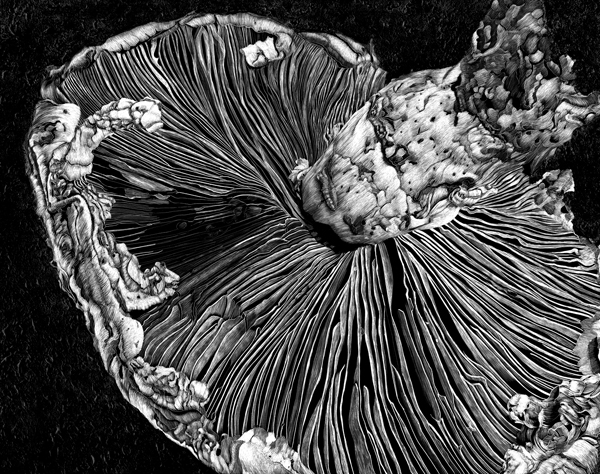 Scratchboard is both a medium and an illustrative technique. In the latter, sharp knives and etching tools are used to etch into a thin layer of white China clay that is coated with black India ink. As can be seen, it yields a detailed, highly precise image, which may also be in color. For more information, see International Society of Scratchboard Artists. In the New Year, The Folio Society, in London, will release its limited-edition reproduction of the famous Bayeux Tapestry. By any stretch of the imagination, the edition will be remarkable. Each of the 480 numbered copies will be displayed in a custom scroll box fitted with handles that will allow for beginning-to-end viewing. The video below offers a sneak peek of the prototype. I think the last 50 years have been the golden age of poetry. A poet since he was 14, the colorful John Giorno (b. 1936) finds poetry writing "exhilarating". An originator of innovative performance poetry, which he has been recording since the 1960s, Giorno has published a number of collections, including Subduing Demons in America: Selected Poems 1962-2007 (Soft Skull Press, 2008), Everyone Gets Lighter (2007), You Got to Burn to Shine (High Risk Books, 1993), and Poems (Mother Press, 1967). Still giving readings, the New York-based Giorno is the founder of the nonprofit artist collective Giorno Poetry Systems, publisher of scores of spoken word LPs with Patti Smith, Allen Ginsberg, and many other artists. Smith, William S. Burroughs, and Frank O'Hara were among the poets who recorded for Giorno's "Dial-a-Poem"* project, which he started in the late 1960s to establish new audiences for poetry. (Listen to the UbuWeb Sound recordings and, at Poetry Foundation, "Telephone Is So Retro It's Cool".) Other collaborators include Laurie Anderson, Anne Waldman, and Philip Glass. In the 14:23-minute video below, Giorno, who is a visual artist, talks about his early introduction to poetry, his influences, including Pop Art, and his thoughts on spoken word performance as well as the future of traditional poetry. He enthusiastically performs a number of poems during his conversation. The Louisiana Channel interview was conducted by Kasper Bech Dyg in June 2014. * The Palais de Tokyo is host to a "Dial-a-Poem" exhibition, which continues through December 18. See Palais de Tokyo's Palais 22: Ugo Rondinone: I Love John Giorno (2016), devoted to the retrospective of Giorno's life and work. Selections from Giorno's artworks may be seen at ArtSy and Elizabeth Dee. His exhibition "Space Forgets You" took place at the Dee gallery in 2015. Giorno's Welcoming the Flowers, a portfolio of 18 screenprinted poems ("picture poems") may be seen at Durham Press. Giorno Poetry Systems recordings can be found at Discogs. American poet and essayist Diane Wakoski is the subject and sole narrator of Emerald Ice, a "docufantasy" about the poetic imagination. What is unusual — and also fascinating — about Emerald Ice is that in lieu of the biographical interviews that typically appear in nonfiction treatments of a well-known person's life, only excerpts from Wakoski's poetry are used to establish her biography. Wakoski herself maintains that her published poems contain all the important information about her that anyone needs to know. In her Artist Statement*, Jesseca Ynez Simmons, the experimental film's director, editor, and cinematographer, remarks on her deep interest in "evok[ing] poetic truths which subvert and challenge the complacency of treating nonfiction as unarguable fact." "The most important underlying aspect to my nonfiction work," Simmons says, "is that truth is not bound to facticity." By allowing "the explicit factual and the fantasy [to] graze on the same plane," she believes, "it is possible to gain something more than if they were treated separately. The reality of the outside world and the reality of our interior spaces are equally true, even if one cannot be readily seen." Expected to be available in 2017, the film, which takes its name from Wakoski's collection Emerald Ice: Selected Poems 1962-1987 (Black Sparrow Press, 1988; paper, 2005), was co-produced by Simmons and Justin Reifert within their MFA documentary media program at Northwestern University. It served as Simmons's thesis film. A preview screening of the 16-minute Emerald Ice took place as part of the MFA Doc Media Showcase this past June at Block Cinema at Block at Museum of Art, Evanston, Illinois. Earlier this year, Simmons conducted a successful Kickstarter Campaign to raise funds for festival applications, marketing materials, community outreach, and professional sound mixing. Below is a teaser for Simmons's "cinematic odyssey", which the film's Website describes as ""tak[ing] the viewer on a journey that explores Diane Wakoski's fearless meditation on intimacy and mortality in hopes of gaining a glimpse of the different worlds inside her. . . ."
Freelance graphic designer Jason Gardinier, Santa Cruz, California, has created a series of posters for the film, including the image that appears at the top of this post. a civilized act of hope. Also see translator Patrick Barron's interview with Viti, "Eternal Returns & Departures: Translating Gezim Hajdari". Gezim Hajdari, Albanese Poet; Author, Most Recently, of Stigmata (Shearsman Books/England, February 2016); Winner, Montale Prize (1997). He lives in exile in Italy. Read Hajdari's poem "I am leaving you Europe" at Words Without Borders. Today's short is the trailer for the documentary Fall Seven Times, Get Up Eight: The Japanese War Brides (Blue Chalk Media, 2015), which relates the stories of Atsuko, Emiko, and Hiroko, who married Americans after World War II and, like thousands of other Asian women, abandoned their homeland to come to the United States with their new husbands. In the film, produced by Megumi Nishikura, each woman and her first-born daughter* address the questions that have gone unanswered for decades about the women's choices and the consequences of giving up everything familiar to live in a country they knew nothing about. The documentary was screened September 29 at the Japan Information and Culture Center at the Embassy of Japan, Washington, D.C.; the Women Over 50 Film Festival, Brighton, United Kingdom, October 1-2; the Louisville (Kentucky) International Film Festival, October 13-15; the Vassar Film Fest, Washington, D.C., October 15; and the Women's Film Festival, West Orange, New Jersey, November 6. Many other screenings took place earlier in 2016. In 2015, the documentary was screened in Tokyo and at film festivals in the United States. * The daughters, who are the film's co-directors and executive producers, are Kathryn Tolbert, Lucy Craft, and Karen Kasmauski. Tolbert spent a year collecting oral histories from war brides throughout the United States. 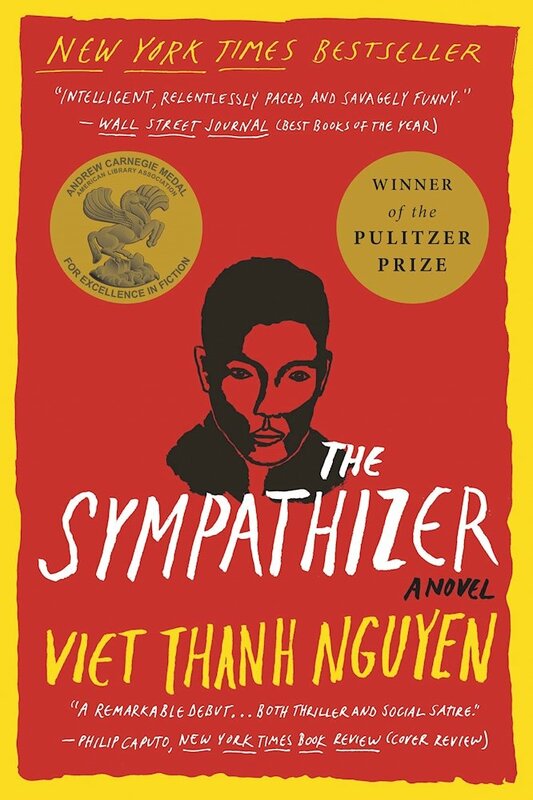 The film was selected Best Documentary Short at the 15th Annual Asian Film Festival of Dallas, Best Documentary Short at the 2015 Philadelphia Asian American Film Festival, Best Short Documentary at the 2016 California Women's Film Festival, and Winner of the 2015 Audience Award at the Boston Asian American Film Festival. It can be watched online at Vimeo on Demand or on home DVD. The directors encourage other war brides and family members to share their stories.